The devil is what this fallen angel is now known by. Lucifer was once one of God’s most prominent angels sitting at his right hand side. He was damned to an eternal misery one of which he can never be saved. Christians are taught from of an early age that God is pure and good. At the same time Christians should steer clear of the Devil. He only causes sadness, pain and misery. Before Lucifer was known as the Devil, Lucifer was an angel of God in Heaven who started to question God threatening to become more powerful. Lucifer was living a great life in heaven where he could enjoy eternal glory. 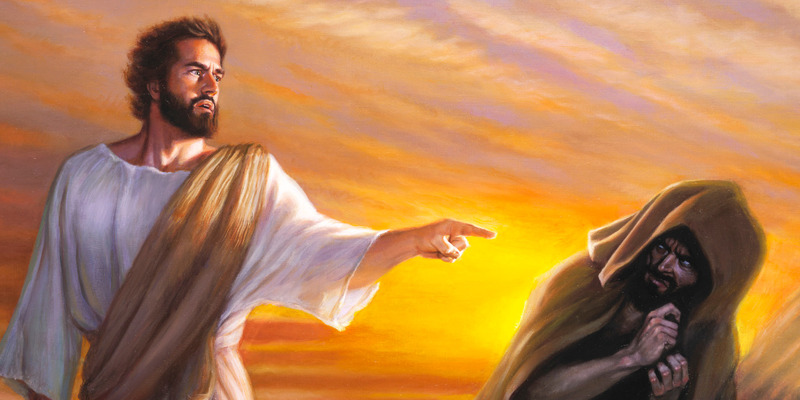 Eventually power became more enticing than happiness, so Lucifer decided to risk it all by telling God he would one day be surpassed by him “…I will ascend into heaven, Above the stars of God…” Isaiah 14:12-15. If we were taught from a biblical story to fear Satan and all of what he symbolizes, why is there an infatuation with speaking about the dark side, scary movies, and mimicking our depictions of him. “The devil is the root of all evil”, “don’t make a deal with the devil”, ”what the hell”, “speak of the devil”, these are all socially acceptable terms we use commonly. Has the fear of the devil been diminished or simply is this now a culture to normalize our fears? In this essay I will show the connection between how society has now twisted subjects we should not be amused, entertained, or drawn to yet now are with Jeffrey Cohen’s “The Monster Culture” thesis VI “The Fear of The Monster is Really a Kind of Desire”. “We distrust and love with the monster at the same time we Envy its freedom and perhaps in sublime despair” Cohen p.17 no one that believes in religion. has any interest in ever meeting the devil. We learned that if we end up meeting him at the end of our lives we did not live our lives correctly and now will suffer eternally. If this fear is instilled upon us why do we constantly seek entertainment in TV shows based off of this character? Well Cohen explains this quite simply as an Envy for its freedom no one expects anything good to come from the Devil the devil is allowed to live freely screwing anyone and is path over, doing whatever he wants with no repercussions because he’s already in hell. Part of us yearn for this freedom of no accountability. Constantly in the news we create scapegoats for people, allowing people to get away with heinous acts with minimum to no repercussion because “they had a hard life” that pushed them to this evil action. So the question is do we secretly desire to have the freedom to be however we want? “we watch the Monstrous spectacle of the horror film because we know that the cinemas a temporary place” Cohen p. 17. The Thrills of being terrorized at Horror Nights Knott’s Scary Farm and Halloween are fueled are this mentality. We know that the second we leave those amusement parks take off the costumes and go home our night of being a monster and interacting with them are over. We desire this opportunity to be scared to be a monster for one night a year. We don’t necessarily desire to be evil, we simply desire to have an alter ego for the night being allowed to be scary. We have normalized the devil and embody him as a culture on Halloween night. We use him as the face of Halloween stereotypical costume with devil horns the tail and the Pitchfork. No one actually wants to be the devil we simply want to borrow his features, use the fear he brings. 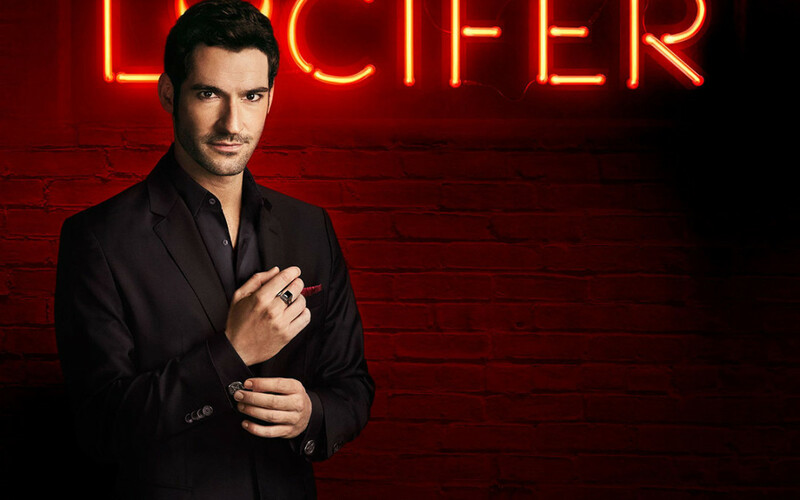 In entertainment we normalize the devil, In the TV show Lucifer, the audience is intended to fall in love with this dashing character. Throughout the series he is seen as a person just like you and I. He even falls in love and has a job. In the show description it states, ” he can bleed just like anyone else” -Fox, in the sense that he can fall in love and be just as vulnerable as us. The audience is intended to feel like they can relate to Lucifer in this Fox series. Another TV show that has come about would be NBC’s The good place. In this TV show a demon tries to become good we’re supposed to sympathize with this demon. Throughout the show references to the underworld are made. Although he’s not Lucifer, he still symbolizes and is inspired from the Christian biblical devil. Other entertainment references normalizing our infatuation with using words that once symbolize something evil include, My Cat From Hell, Hells Kitchen, Supernatural where it dabbles with demons, and American Horror story. All of these TV shows are based off the Character of the Devil or use terms of Hell in a for of entertainment. Cohen p. 16 “the monster is continually linked to for breeding practices in order to normalize and enforce”. We use the term devil and Hell loosely. When buying a chocolate cake we buy devil’s food because we know how rich it will be. One of the seven deadly sins are gluttony. And when talking about food we use the term devil which symbolizes the gluttony behind it because of how rich it is and how much you want it. This is a witty form of. Advertisement it’s a word play we play with the term devil in the sense that we want it, normalizing the use. An old phrase that used to be coined was don’t make deals with the Devil. In the song The Devil Went Down to Georgia by Charlie Daniels, we embody that phrase. The song sells a story of the devil looking for soul he gets in a instrumental showdown with a youngman and eventually the devil’s beat by this young man and he practically tells him that he’s not afraid of him. The use of this Biblical Character who is the utmost evil is once again depicted as someone we have normalized like you and I. In today’s modern culture we do still practice fear of hell and the devil as well as stuff affiliated with him, we have been provided by countless films directing our fear right back on path but for the sake of religious purposes I will not address those into depth. So why bring them up you may ask? To avoid a Bias in which media I selected. I chose to write on the Devil because this Biblical Character has such a large hand in many shows, ads, words, and even numbers. We steer clear from anyone we fear has affiliation with a lifestyle that glorifies this monster yet we are so fascinated with getting scared. The devil has such a heavy hand in the root of all that scares us its hard to not experience effects of him today whether its from evil things in the world, to bad luck with what seems meaningless tedious tasks. Once a biblical story Character the devil was something to fear, someone we never wanted to meet and hell was somewhere we never wanted to go. Although we still carry these characteristics of never actually wanting to experience any of these things in today’s culture effects of the devil are attractive characters and witty advertisement. Connecting it to Jeffrey Cohen’s monster Theory, we are able to connect our actual fear of a monster and our desire of that fear. Although we never want anything negative to actually happen to anyone we know, a loved one, or anyone in general, We still enjoy our cheap thrill Cinema Visits where we can step into a temporary world of terror as we indulge in our dark side. The devil who may be the biggest monster around still effects us in a difference sense than most monsters, with the Exception of horror films based off of evil, we use the devils luring effects as a polished finish in the entertainment industry. I use Cohen’s monster thesis as the core of my paper I compare examples with different points that he brings up during his book. I direct all comparisons directly back to the book. 2- “Isaiah 12, American Standard Version (ASV) | The Bible App.” Read the Bible. A Free Bible on Your Phone, Tablet, and Computer. | The Bible App | Bible.com, www.bible.com/bible/12/ISA.12.ASV. I use the Bible to give a direct quote from the chapter I’m talking about in order to be able to better tell the story of what happened. I need to be able to tell the story in order to make my essay understandable for those that don’t know what I’m talking about. 3-“Story of Lucifer.” Is Baptism Necessary For Salvation 1, www.allaboutgod.com/story-of-lucifer.htm. I use this website because I needed to brush up on the story of the Fallen Angel to be able to compare it with the monster thesis. I need to be able to get a better understanding as to what he stands for. And what his character embodies. 4- “Lucifer.” IMDb, IMDb.com, www.imdb.com/title/tt4052886/plotsummary. I use the this media website to get a better summary So I’m able to talk about the charismatic way that the network portrays the Devil with Handsome characteristics.